Here is the latest scoop from CIFCA. 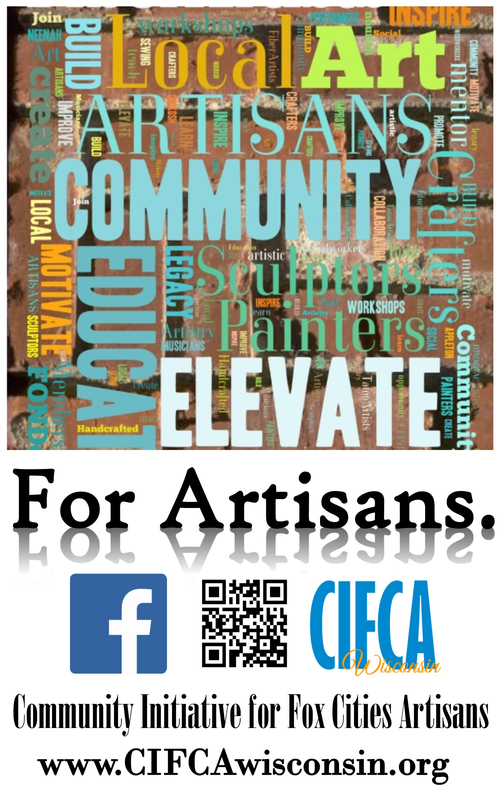 Next Artisan Topic & Artisan Meeting is on April 23rd at 6:30pm and 7:30pm respectively. Both are being held at Harmony Cafe, 233 E College Ave, Appleton, WI 54911 in Appleton on the third floor. Opening at the Fine Fox on Thursday, May 15th 4pm-8:30pm at 214 W Wisconsin Ave in Neenah (The Fine Fox was formerly the Artisan Shoppe by CIFCA). Workshops on April 30th, and again on May 8th as well. Both of those are at 6:30pm and held at the Neenah Public Library, 240 E Wisconsin Ave, Neenah, WI 54956 in room 201. This entry was posted in Uncategorized on April 15, 2014 by Frank Juarez.